SOS Children's Villages has been working in Russia since the early 1990s and in Lavrovo since 1998. Russia is the largest country in the world, and although the economy has grown recently, the wealth has not been equally distributed among its population. Many families struggle to care for their children. 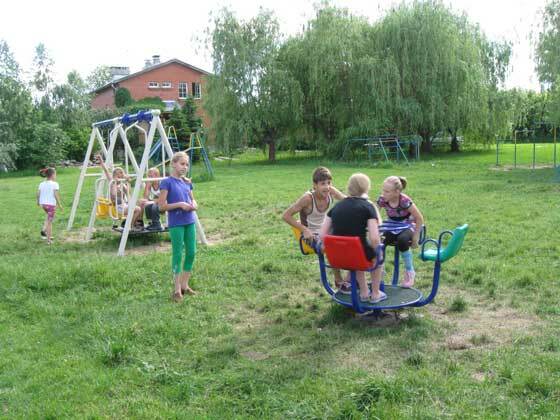 The second Russian location where SOS Children's Villages started working is the village of Lavrovo, approximately seven kilometres away from the city of Oryol. Lavrovo lies in the heart of Russia, about 350 kilometres south of Moscow, the country's capital. There are around 3,500 people living in Lavrovo, they survive mostly on agriculture. Light industries, engineering and metallurgy also provide employment. It remains, however, a poor region with high unemployment rates. The increase in poverty and homelessness on the one hand, and cuts in the health budget on the other, have led to a growing number of cases of tuberculosis. In 1990, 44.4 out of 100,000 people suffered from the illness - this figure had increased to 77.1 out of 100,000 by 2001. This alarming trend led international agencies, in collaboration with the local authorities, to start a project providing social and nutritional aid to those suffering from tuberculosis. In addition to needing medical treatment, it was clear that the people who attended the clinic were also in need of food parcels so that they could have enough to eat. In recent years, there have been several cases of corruption in the city of Oryol. In addition, a criminal group was found to be operating a prostitution ring which included children. The decision to start working in Lavrovo was motivated by the results of previous studies which highlighted the impoverished living conditions in the town of Oryol. In addition, many children and young people in the region are still suffering from the consequences of the Chernobyl disaster, which happened in the Ukraine in 1986. SOS Children's Villages supports families, young people and children in this deprived area. Strengthen families: The SOS Social Centre has been supporting people in the neighbourhood since 2009. We work with local organisations and communities to support vulnerable families so that they can stay together. We ensure that they have access to basic goods and services such as health care and education. Children can spend time outside with their friends in the playground. In addition there is a community centre where workshops and support activities can be organised for people who live nearby. Support for young people: Since 2001, young adults who are ready to leave their SOS families have been able to move into a special programme. They are supported while they complete their vocational training or higher education and prepare themselves for an independent life. For example, our organisation works with the city's employment services and organises visits to different companies in the city.